Deep rear shroud for Ultrasaver 90. 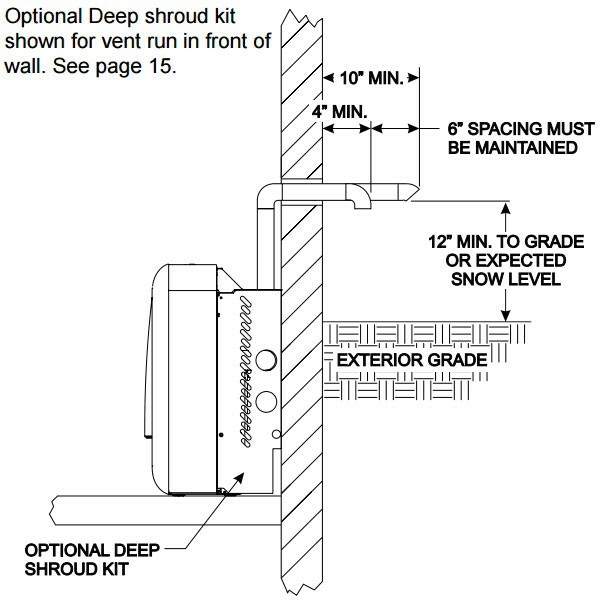 Shroud adds 3 3/8" depth to the rear of the unit on floor installations. This kit allows PVC pipe to be run along floor behind the unit when you are unable to run PVC vent outside directly out the rear of the heater. Also allows you to vent the unit vertically.